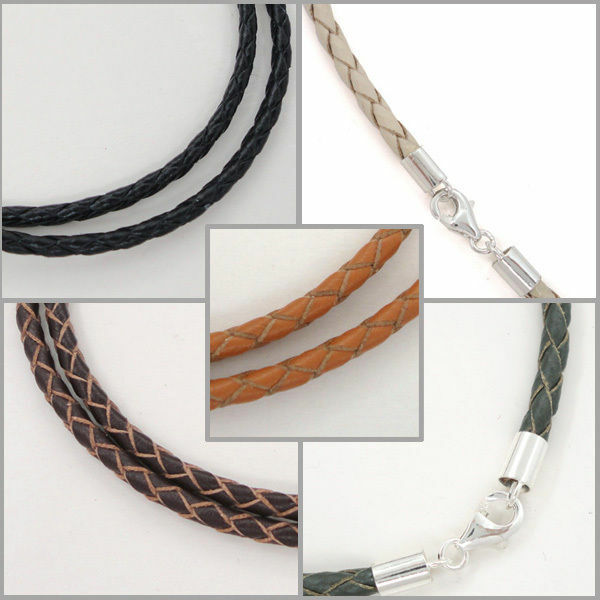 Sterling Silver 3mm Braided Genuine Leather Necklace/Bracelet. 3mm (Lobster Clasp). 2mm Necklace (Lobster Clasp ). 2.5mm (Lobster Clasp). 2mm / 3mm Leather (Anitque Clasp ). 3mm (Hook Clasp). solid sterling silver for both clasp and tube connectors.